Service firms do implement two kinds of marketing: (i) internal marketing; and (ii) external marketing. Indeed, the premise is to align internal marketing strategies with the external marketing strategies for organizational scessuc. The recognition of the significance of people inside has resulted in a two-dimensional brand proposition. The two dimensions of brand proposition include: (i) Internal customer (Employer) brand proposition; and (ii) External customer brand proposition. Internal marketing is a general terminology. The internal marketing (or internal customer) paradigm must incorporate both internal marketing (‘outside-in’) and internal branding (‘inside-out’) practices. Additionally, employer brand proposition must embed brand ethos. The task of ensuring employees understand the brand promise and their part in delivering an on-brand customer experience has generally been described as internal marketing (IM). The most consistent theme of IM has been motivating customer focus. The primary objective of IM is instilling ‘service-mindedness and customer-oriented behaviors’, focusing ‘staff attention on the internal activities that need to be changed in order to enhance marketplace performance’ and ‘creating motivated and customer-oriented employees’. This ‘outside-in’ approach to IM focuses on communicating the customer brand promise, and the attitudes and behaviors expected from employees to deliver on that promise. While it is clearly important for employees to understand their role in delivering the customer brand promise, the result can often be short-lived if employees feel they are no more than a ‘channel to market ’. If the brand values on which the service experience is founded are not experienced by the employees in their interactions with the organization the desired behaviors will ultimately feel superficial, ‘a show put on for customers’ rather than the natural extension of a deeply rooted brand ethos. The aforementioned forces have led to the evolution of internal branding or ‘inside-out’ marketing. Over the last ten years there has been a shift in emphasis from IM to internal branding, which takes more of an ‘inside-out’, value-based approach. Internal branding seeks to develop and reinforce a common value-based ethos. Research shows that companies with consistent, distinctive and deeply held values tend to outperform those companies with a less clear and articulated ethos. The ‘inside-out’ view suggests that the distinctive cultural characteristics and capabilities of the organization are the only sustainable route to competitive advantage in that everything else is open to inspection and copying. The focus of employer brand thinking is to ensure that the same clarity and coherence is applied to defining and managing the organization’s proposition to employees as it typically applies to defining and managing the external customer brand proposition. Employer brand proposition needs to clarify what prospective and current employees can expect from the organization in terms of rational and emotional benefits. However, it also needs to clarify what will be expected of employees in return. United Hospital Ltd promises employees that it will help them realize their potential. In return (in accordance with UHL’s core values) it expects employees to ‘take on big challenges and see them through’. Inherent in employer brand proposition is a ‘give’ and a ‘get’ that aligns the employer brand promise with the customer brand and corporate performance agenda. In customer brand experience, if you want to deliver a consistent on-brand service experience, it is not just a question of managing your communication channels; you need to manage every significant operational and interpersonal ‘touch-point’ with the customer. While the employee experience is far more complex than any service experience, there is a recognition that organizations benefit from adopting a similar approach. This is the essence of the ‘employer brand experience’ framework. People management involves a wide range of ritualized processes and HR ‘products’ that can be described as employee touch-points. The term ‘customer corridor’ used to describe a relatively predictable sequence of ‘touch-points’ can equally be applied to the recruitment process, orientation, employee communication, shared services (including HR and facilities management), reward, measurement (e.g. employee engagement surveys), performance management and employee development. Likewise, core values and competencies can be seen as a framework for governing the everyday experience of employees through the communication and behavior of their immediate line managers and corporate leaders. As for the external customer experience, being consistent is good, but being both consistent and distinctive is even better. If you want to deliver a distinctive customer brand experience, and that experience depends heavily on interpersonal interactions, then you need to ensure your employer brand attracts the right kind of people and your employer brand management reinforces the right kind of culture (from the customer-facing frontline to the deepest recesses of every support function). To ensure your culture is aligned with the desired customer brand experience, it clearly helps to have a distinctive ‘brand of leadership’, but it is equally important to ensure that your people processes are also distinctively in tune with your brand ethos. These ‘signature’ employer brand experiences will help to engender a distinctive brand attitude, generate distinctive brand behaviors and ultimately reinforce the kind of distinctive customer service style that will add value to the customer experience and differentiate an organization from its competitors. This process should involve four major steps. 1. Creating the notion of ‘internal customers’: viewing employees as ‘internal customers’. The notion of viewing employees as ‘internal customers’, which is at the heart of the IM practice, would help a firm to demonstrate a caring attitude aimed at motivating employees to be customer and service oriented in order to attain corporate goals. Employees need to be treated in a caring way by their superiors and the organization in order to feel valued. Successful implementation of IM would enable managers to demonstrate a caring attitude towards their subordinates that will in turn motivate employees to demonstrate positive attitudes towards the external customers. If the IM ideas are successfully implemented then managers won’t have to persuade their subordinates to develop positive attitudes towards the external customers. Because, the IM ideas suggest that in order to take care of your customers, you must first take care of those who take care of the customers hence, your employees. Happy and satisfied employees create happy and satisfied customers. Employee feelings of satisfaction will reflect on the level of service delivered to internal and external customers. Successful service provision is dependent on interpersonal exchanges between service personnel and subsequently, between the provider and the customer. Staff must engage in service encounters to satisfy the needs they have in the course of carrying out their job responsibilities. These internal service interactions may include relationships between customer-contact staff and back office personnel, managers and the customer-contact staff, managers and back office personnel and in large organizations between the head office and the branch network. Hence, the provision of good internal service to employees is crucial to the overall success of an organization. Internal standards are another important element of the IM programmes. Service organizations must set high standards of performance and equip employees in order to enable them to meet and exceed these standards of performance. The firms must set desired levels of quality for the internal service encounters. Examples of the service standards set up by hospitals in the Bangladesh in terms of the quality of service and the quality of service delivery are: responding to customer enquiries and complaints without delay, answering phone calls within three rings and being friendly and polite with their internal and external customers. 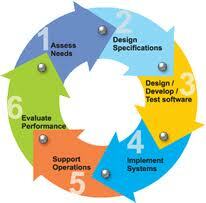 Periodic performance reviews and assessments are then carried out in order to identify problem areas. The hospitals studied set up the standards of performance on the basis of the industry-wide performance indicators, which provide information in terms of quality and sales performance. The effective implementation of IM highlights the importance of helping personnel to become more customer focused and service oriented by, for example, setting down clearly defined individual targets such as responding to service delivery failures quickly, adapting to customer needs and requests and responding to problem customers politely. By tying the personal targets to the organizational goals of customer focus and service orientation, individuals would see their own contribution to the achievement of the organizational goals. This would help firms to instill a strong service mentality with the aim of building and differentiating the corporate brand. There is a close relationship between the IM practice and the development of customer focus and service orientation. IM must be implemented within a firm in order to create a motivating and service oriented working environment that will enable the organization to effectively deliver high-quality customer service as a means for developing a strong corporate brand. Firms must use development programmes as an integral part of the IM practice that emphasizes customer focus and service orientation. The programmes, which may be labeled by firms, customer care and/or service programmes, must be aimed at instilling a customer/service ethos. The training and education courses must aim to help staff to understand the importance of striving to meet the internal service standards in their internal interactions as a prerequisite for achieving high-quality customer service. The overarching aim must be to develop a strong service mentality that will pervade the entire organization. In the BD, Hospitals use education programmes, which are the principal tool of training and development, in order to create knowledge and understanding among staff of how their attitudes and behavior towards customers form an integral part of the overall service offering. Many of the educational and training programmes are launched and managed by the head office, and are aimed at enabling staff to accept that customer orientation starts from within. Everybody is encouraged to accept that they have internal customers to serve. These internal customers are their colleagues who work in different positions within the firm such as back office personnel, customer contact employees as well as the employees who work in the internal support departments. Employees take the role of internal service providers and internal customers in all their daily internal service encounters. In essence, hospitals appear to use HR development in order to potentially change staff attitudes to the organization’s advantage. The hospitals use HR development in order to improve staff competencies, such as determining the external customers’ needs and matching them with the right products in order to improve customer service. This will enable employees to become more efficient and effective in their role as service providers and will consequently, increase customer satisfaction. Customer service expectations and perceptions data are also important in revealing subject and skill areas requiring greater attention. Customer surveys that indicate important service dimensions on which the company is perceived to be deficient clarify the learning priorities. 2. Use a mix of learning approaches. Use multiple learning approaches, such as classroom instruction, role playing, and self-instructional programming; no single approach fits all needs and people. Be bold and creative. 3. Use role models. Invite the most credible executives to be instructors in company courses. Put them in the position to share their expertise and model their values and style. Also invite successful peers to be instructors and session leaders. 4. Institutionalize learning. Devote part of regular staff meetings to skill and knowledge development. Distribute selected articles, videos or other educational materials systematically. Take employees on field trips to visit other companies and then ask them to share with each other the best and worst of what they saw. 5. Evaluate and fine-tune. Administer multistage evaluations of skill and knowledge development efforts. Find out from employees and their managers what on-the-job changes have resulted from participation in a learning program. Evaluate at several different times after the program has ended, for example-, after one and three months. As part of the IM initiative a firm must align corporate and individual goals via a formal rewards system in order to instill confidence that the extra energy that individuals voluntarily invest will be reflected in their performance appraisals and their rewards. Firm must offer both tangible and intangible rewards for reaching organizational goals and creating as well as nourishing a sense of ownership. It is stipulated that employees who feel as part-owners of an organization are more willing to work towards sustaining the corporation’s success, as they have more to gain. It can be proposed that rewards can motivate employees to deliver the brand’s promise to external customers. There must be a strong emphasis on the use of monetary rewards especially for front line employee (e.g., branch managers included). Hospitals in the Bangladesh reward employees with respect to the opening of new accounts and sales achieved against set targets. But they also reward based on whether employees have retained customers. The monetary rewards take the form of bonuses and short-term commissions. Lab Aid or Apollo has launched personal bonus schemes for staff with sales responsibility. Thus, the front-line staffs have more opportunities to obtain monetary rewards than the back-office staff. The key reason for this is that hospitals tended to link monetary rewards to quantitative targets such as services figures. Since only customer-contact personnel have sales targets, only they have an opportunity to obtain these rewards. Not every employee has equal professional contact with outside customers and prospects. This leads to possibilities of unfairness in incentive awards. While customer-contact personnel receive monetary rewards for achieving their personal targets, back-office personnel are offered prizes for the achievement of their targets. The only exception being the bonus divided among all branch employees for the achievement of the overall targets. Monetary incentives are an important element of the IM practice in motivating branch managers and customer-contact personnel to achieve their quantitative targets. The successful achievement of the targets holds important implications for a manager’s or sales person’s identity and competence within an organization that could motivate them to break away from the team. The ‘attractiveness’ of the monetary rewards could also have the same result. Gradually, this approach could lead to the customer-contact personnel even assuming a higher status than support personnel within the organization, which may lead to internal conflict with a detrimental impact on the service climate. The reward system discourages team building by rewarding individuals and divides people by creating status difference. Another problem with using this method is that a customer-contact employee who aims to maximize his/her commission earnings is often not concerned with the quality of the service-production/delivery process and thus, not in a position to maximize customer satisfaction and thereby secure repeat business. • Link rewards to the firm’s vision and strategy. Reward performance that moves the firm in the intended direction. • Distinguish between competence pay (compensation for doing one’s job) and performance pay (extra rewards for outstanding performance). • Use multiple methods to reward outstanding performers, including financial rewards, non-financial recognition, and career advancement. Consider the possibilities of rewarding employees with stock and making them owners. • Remember the power of a pat on the back. Rewards need not always be elaborate or expensive: the sincerity of the recognition is most important. • Compete for the sustained commitment of employees. Develop enduring reward systems and use short-term programs such as sales contests sparingly or not at all. • Stress the positive. Use reward systems to celebrate achievement rather than to punish. • Give everyone a chance. Avoid the trap of rewarding people in some positions (for example, field salespeople) but not in other positions (for example, secretaries). • Reward teams and not just individuals. Reinforce team play with team rewards, while also rewarding superior individual performers. The roles of external marketing activities are: (i) acquisition; and (ii) retention of customers. Successful service firms use both traditional marketing (and transactional marketing) and relationship marketing initiatives to attract and retain their customers. Target marketing or selection of suitable segments is the first external marketing activity irrespective of whether a firm adopts traditional marketing or relationship marketing or both. We recommend four generic ways to segment customer bases to our firm: (1) segmentation based on combining relationship revenue and relationship cost; (2) segmentation based on relationship volume; (3) segmentation based on customer relationship profitability; and (4) segmentation based on combining relationship volume and customer relationship profitability. By using relationship revenue (RR) and relationship cost (RC) we can create a simple two dimensional grid (see also Shapiro et al. 1987) into which customers can be positioned. In Figure below we offer one possible solution on how to group customers. Customers can be grouped into four clusters of customers: Group I consists of profitable customers, with high RR and small RC. Based on our understanding of the structure of RR and RC we can expect these customers to be passive customers with fairly big relationship volume and limited transaction behaviour. The customers in this quadrant are probably customers towards whom the hospital needs to adopt a defensive strategy. The basic aim of the defensive marketing strategy would be to reduce customer exiting and switching. In this context our firm can achieve a large portion of revenue by serving these potential customers. Usually there are some fixed patients those who are loyal to the hospital. These groups of potential patients are the profitable customers. They generate high relationship revenue and reduce the relationship cost. For example cardiac patient are the typical example of profitable customers of our hospital. The hospital charges a big amount of money for open heart surgery. We identified these group of customers maximizes relationship revenue and minimizes the relationship cost. To retain this group of customer hospital should take initiatives including cash discount, festival discount, annual picnic, fieldtrip and raffle draw prize offering. Group II consists of customers with high RR and high RC. This group includes both profitable and unprofitable customers. The customers are probably active customers with high relationship volume and many interactions with the hospital. Their frequent contact with the hospital presents many possibilities to affect their behavior. As their RC are high, at the same time they represent a major potential; by changing the behavior of the unprofitable customers, the customer base profitability can be greatly improved .Our hospital should try to change the behaviour pattern of this unprofitable customers. For example there are some patients those who have confusion about our hospital. There mind is not set to which hospital is good. Motivating can be a success factor in which they will behave positively to our hospital. If we motivate accurately and successfully they will come to our hospital and became our profitable customer. Group III consists of customer with low RR and small RC. This group, too, includes both profitable and unprofitable customers, but as their RR is limited they do not represent the same kind of profitability potential as the customers in group II. The hospital would need to know the possibilities for increasing the customers’ patronage concentration. For those customers who do not represent a major potential by becoming full customers, the only solution is to decrease the demand for interactions and simultaneously increase relationship fee revenue. So our firm will give less importance to these customers rather than Group2 customers. As their relationship revenue and relationship cost is low firm should increase relationship fee to overcome the low relationship revenue. Group IV consists of unprofitable customers, with low RR and high RC. These customers are probably not partial customers; more likely the customers in this group are low net worth customers who are still active. The proportion of younger customers in this group might be expected to be high. For example teenage customers don’t spend largely. Rather they always try to minimize the relationship revenue. But our firm spend a lot for retaining them. My recommendation is to decrease the relationship cost. The grouping of customers presented above is static and therefore requires an additional analysis in which customers are followed over time so that migration patterns can be identified. Migration patterns are important when it comes to following both profitable and unprofitable customers. In analyzing migration the interest should focus on the turnover of customers, i.e. the defection rate, the migration of unprofitable/profitable customers, and the degree of migration. The more migration there is in the customer base, the more sensitive customer base profitability is likely to be. There should be a separate database in computer in which we will determine the migrating customers. If the migration rate is high profitability will decrease. On the other hand if the migration rate is low profitability will increase. We will try to minimize of turnover of customers. We will try to retain our profit as well. The simplest and the most popular way to segment hospital customers is volume-based segmentation. The basic idea is to use some sort of volume indicator (service volume, medicine volume, a combination of both, or some other volume indicator) to generate groups. Most commercial hospital have employed volume-based segmentation at least in order to find target groups for “private hospitalizing” activities. The volume indicators have usually been customer holdings in the hospital in the form of service and relationship activities. These customers are related to as “high net worth” customers. Developing a differentiated strategy based on relationship volume may be a good solution as it is obvious that the hospital’s ability to help the customer to produce value for her/himself is evaluated using totally different criteria among high volume customers compared to low volume customers. High volume customers could be expected to be much more interested in how the hospital helps the customer to manage her/his problems whereas the low volume customer is probably more interested in the payment brokering services of the hospital. The customers those who have been living long for treatment in the hospital can be a example of a volume based customer. Or customer using more medicine for treatment can also be a volume based customer. These customers are profitable and loyal to our hospital. The third possible way to segment the customer base is to base the grouping directly on customer relationship profitability. There are two basic approaches to do this: to base the grouping on relative profitability (relative to the total customer base) or to group customers based on their absolute profitability. Grouping customers according to their relative profitability in practice means that the customers are grouped based on their importance for the profitability of the total customer base. The customer base may thus be grouped in, for instance, four groups. Group A consists of the 20% most profitable customers, group B consists of the next 30%, group C of the next 30% and group D of the 20% that are the most unprofitable. Based on the segmentation we can determine that group A consists of the customers that the hospital has to defend against other competitors, the basic idea being to increase relationship strength. Customers in group D are obviously customers that have to be evaluated against the possibilities to dramatically improve their profitability. Groups B and C are groups with which the basic idea has to be to influence both an increase of in relationship revenue and a decrease in relationship cost. Creating segments based on the customers’ absolute profitability is the second alternative. The number of segments is of course a question of judgment. We have to judge correctly and accurately to identify our groups of customers. A hospital can increase their profitability by segmenting the customers. For this group of customer the hospital can give services in each group according to their respective profit. There are four groups of target customers Group A, Group B, Group C and Group D. Group A customers are loyal and profitable customers. Groups B and Group C customers are profitable but not like Group A. We recommend to an increase in relationship revenue and decrease relationship cost. The hospital should increase the relationship revenue from the group D by creating more value to its customers. Group D customers generate has a minimum amount of profit. The patients of a hospital can be classified by these four groups. In this we segment the target market by profit base. The fourth way to segment customer bases is to combine volume-based segmentation and profitability based segmentation. In Figure above we have depicted four different groups of customers that can be identified based on combining relationship volume (RV) and customer relationship profitability (CRP). The groups can be characterized as follows: Group I consist of low volume, unprofitable customers. Customers in this group are unprofitable because of their unfavorable transaction behavior in combination with their low volumes. The only way — in the short term — to improve the profitability of the customers that have concentrated all their RV in the Hospital in question and still are unprofitable is to concentrate development efforts on their transaction behavior, to change the behavior and/or price of the transactions that create the problem in order to get more relationship fee revenue. This group of customers should be minimized as their quantity is low and unprofitable customers. Group II consists of low volume, profitable customers. Most of these customers are doubtless “passive” customers, i.e. customers with limited transaction behaviors. This can be a result of one of two things: they use the Hospital in question as their second or third hospital and thus generate their services in the hospital where they have a very their limited need for services they want. This type of group of patients should be increased as much as possible. As their quantity of patient is less but they have a big amount of transaction with the hospital and probably they are the profitable customers. Group III consists of high volume, unprofitable customers. These are the “dogs” of the customer base. Customers in this group may be unprofitable either because of unfavorable pricing or because of excessive usage of low-priced or gratis services. Thus the strategies towards this group may have to vary significantly based on the reasons for the poor performance of the customers in the group. As the customers in this group are high volume customers there may be a notable profit potential in managing to influence the factors decreasing the performance of the customers and this type of patients using the hospital in a small scale. Group IV consists of high volume, profitable customers. These are the “cash cow” customers of the hospital. Most of these customers are among the first quartile in the profitability and thus the hospital is very dependent of this group. Defections in this group may seriously damage the profitability of the total customer base. A key question is whether to settle for the present levels of profitability or to seek to improve the situation by increasing volumes, improving pricing, and/or changing buying behavior. The patient under this group maximizes the amount of profit as they cover most of the market share. Because of increased competition, a reduction in hospital profitability in traditional areas of business, high cost structures and the fact that some existing customers may now be unprofitable (for example, those who use the hospital in a limited basis), our hospital needs to become more focused on managing the service. A service organization offers a core set of features that represent its ability to satisfy certain basic needs of the customer and augmented features that associate it with a particular supplier, differentiate it from competing services and make it distinctive. To achieve effective supply management organizations may concentrate on service profitability (and success measures such as enhanced market share) and/or objectives that focus more on the individual customer. In managing the service effectively our hospital can focus on generating individual service profitability through the core service and/or achieving individual customer profitability through an augmented service. Linking these dimensions, by focusing on the core service and improving its profitability, individual customer profitability can be enhanced through the cross-selling of augmented services. A hospital must meet the demand of a patient with providing the best services .If necessary the hospital has to buy equipments for giving better services to its patients. For example buying a CT scan machine helps to achieve the hospital for providing better service. When a firm matches with the demand of a patient then that particular patient will not go to other hospital. They became the regular patients to that hospital. When they became regular patients they will pay to achieve the best service and as a result firm’s revenues will also increase. With increased competition, technological advancements and changing consumer dynamics our hospital needs to become more adept at controlling quality. For example, due to traditional high cost delivery/operating structures and the lack of scale economies derived from the historical business of hospitalizing, retail hospital are now operating with some of the highest customer service orientated firm. Consequently, in competing against providers that have lower costs and different types of cost structures managing quality and productivity has become increasingly important for modern hospitals. In managing quality our hospital can focus on technical quality (through ‘intangibilising’ the service) and/or functional quality (by managing the intangible dimensions of the service such as people and processes). Improvements in service quality are viewed not as a cost but as an investment. Linking with the focal aspects of managing supply and demand, in terms of controlling quality and better service. Our hospital can focus on technical quality and service orientation (by emphasising the intangible aspects of the service offering) and/or functional quality and individual customer orientation (by emphasizing the way in which the service is delivered to customers). Again in focusing on these aspects the hospital can employ a wide range of marketing activities. Controlling the quality is a major issue in today’s competitive world. There are many hospitals in our country. So if a firm doesn’t maintain quality it will lose its customer’s. Proper implication of technological advancement can lead to reach the actual target. In respect to a hospital quality control mean to recruit qualified doctor, proper nursing strategies, to have the write treatment, giving the write medicine for any disease etc. Technological advancement and skilled human resource has a positive effect on quality control. We recommend hiring skilled labour force and also the medical equipments that create resulting added value to the patients. With increased dynamism in the service sector retail hospital have also been forced to evaluate the way they deliver services and the nature of interactions they have with patients. Much of the research on the encounters between the service organisation and its customers refers to the dyadic direct interactions between a customer and the organisation’s staff. In addition to these one-on-one interactions there are now more indirect interactions where the customer interacts with dimensions such as the service, the service firm’s distribution channel and the communication/promotional efforts of the organization. Thus in managing customers’ interactions our hospital can focus on indirect interactions, (where the customer interacts with intangible dimensions such as the service as a result of a broad spectrum of marketing activities and/or direct interactions (where the customer interacts with the people employed by the hospital).Interaction with the patients by a staff of a hospital can play a major role in managing customer orientation. The hospital must depict that there hospital is the best one. The staff must convey to deliver the message and interact with a friendly way so that customer’s expectation has been fulfilled. The patients must assure that they are in the write choice where they can feel like a home. These are known as the customer service orientation by a hospital. The orientation must be positive and assuring to give the best comfort to the client. With increased competition, technological advancements and changing consumer dynamics our hospital needs to be adept at managing customer’s expectations. Customer’s expectations consist of technological and psychological aspects of service delivery. Technical aspects and instrumental expectations can be met through delivery of the intangible elements of the service while functional aspects or psychological dimensions pertain more to the delivery of intangible dimensions. Thus in managing customer’s expectations our hospital can focus on the technical aspects and customers’ psychological expectations which are provided by the intangible dimensions of the service and/or the functional aspects and customers’ psychological expectations which are met by delivering more intangible dimensions of the service. So the scope and range of marketing dimensions involved in supporting customer’s expectations can again be viewed as a wide spectrum. To meet the customer’s wants and needs a hospital should concentrate on customer’s expectation. By meeting up with customer’s expectation a firm can reach the goal. It is important to cope up with the environment to ensure proper service to a customer. If a firm fails to meet up the customer’s needs they will lose the market share and hence the profitability drops. Managing customer’s demand is challenging. Customer may ask for service at anytime. So it is responsibility of a firm to meet up the wants and needs of a patient and give direction accurately and responsively. Meeting up all the demand of a patient a firm will be a customer oriented organization which is necessary to sustain of a firm in today’s competitive world. In the context of our hospital, we may use a continuum of marketing activities that range from the so called traditional transactional elements of service, through elements of mass communication, sales promotion, publicity and sponsorship and personal communication, to the service delivery or relational aspects of people, processes and service orientation evidence provided. As indicated in the model the vertical axis incorporates the marketing challenges and places this against a horizontal axis incorporating the continuum of marketing activity described above. The resulting matrix creates a multiplicity of cells that pertain to different aspects of marketing activity that we recommend to our hospital. While these activities are integrative and as such need to be managed in a holistic fashion certain areas of the matrix are more appropriate in achieving particular objectives than others (this is discussed in the following sections). Hospitals are now confronted with the challenge of developing appropriate marketing activity to ensure ongoing customer recruitment. With increased dynamism customer recruitment is important in reducing costs, maintaining and enhancing profitability and increasing market share. A hospital must achieve its target customers in order to get the maximize profitability. For this purpose hospital has to do a lot of transaction marketing activities and must be given in proper direction techniques for implication of effective marketing techniques. In other words, to achieve ongoing customer recruitment one would expect that our firm would invest appropriate resources in managing supply and demand and controlling the quality of the service. For example, the expectation would be that it is concentrated on the market, developing innovative, competitive services and pricing offers that have mass appeal and improving the quality of the core offer while keeping costs in relation to the service. The use of core transaction marketing activities is very important aspect for a hospital. The more the transaction marketing activities the more hospital is flexible to cope with the customer needs. Marketing strategy properly developed is closely related to business strategy. In fact in a market led business the two should be indistinguishable. Marketing strategies and marketing perspective should therefore give direction to the strategies of a service business, from service design through to after care policy. A service strategy within an organisation requires the analysis of the various environmental forces, identification of organisations goals and the factors critical to the attainment of these goals and precise definition of the actions that the organisation can conduct.